Few personalities of the ancient world seize the imagination like Hannibal Barca, Carthage's military genius. Invading Roman Italy in 218 B.C., he won repeated victories over the legions but could not force the Romans to make peace. Meanwhile, Rome's great general Scipio Africanus overran Carthage's colonies in Spain and in 204 B.C. invaded the Carthaginian homeland in modern-day Tunisia. Hannibal swiftly returned home, setting up a clash between the two great leaders. 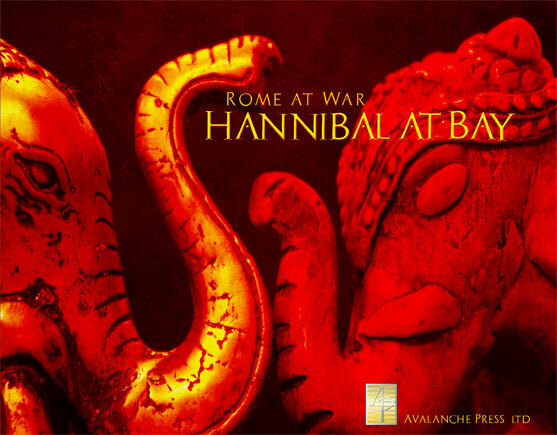 Hannibal at Bay is a game based on Carthage's final days, the campaign that made Rome into the world's greatest power. Players take the roles of the Carthaginian and Roman commanders (usually Hannibal and Scipio) and maneuver their legions, phalanxes, cavalry and elephants across the game board and engage in combat. The game pieces come in two sizes. “Long” pieces are 1 and 1/3 inches long and 2/3 inches wide, representing heavy infantry: legions or phalanxes. Other pieces are squares 2/3-inch across each side. These represent elephants, cavalry, artillery or leaders. Each unit is rated for combat strength and morale. Combat can take the form of assault, cavalry charge or bombardment. 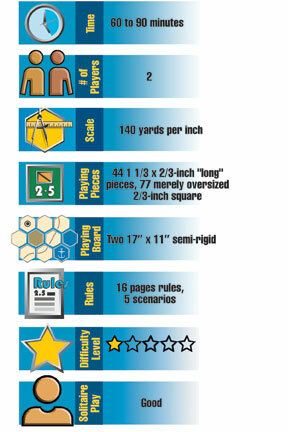 Each player rolls a number of dice equal to the total combat strength of his or her units involved. For each result of 6, one hit is achieved. For each hit suffered by a unit, it loses one “step,” or level of strength. Watchtower of Agathocles. Winter, 204 B.C. Scipio sets up a cavalry ambush of Hanno's Carthaginians. The Great Plains. April/May 203 B.C. The Carthaginian general Hasdrubal recruits a much larger army to face Scipio's better-trained legions. Massinissa and Syphax clash for the throne of Numidia, with the Romans backing Massinissa. Hannibal and his undefeated army return to Africa to fight for their home city, in one of history's decisive battles. A battle from the First Punic War, as the legions of Marcus Atilius Regulus face the mercenary army of Xanthippus. 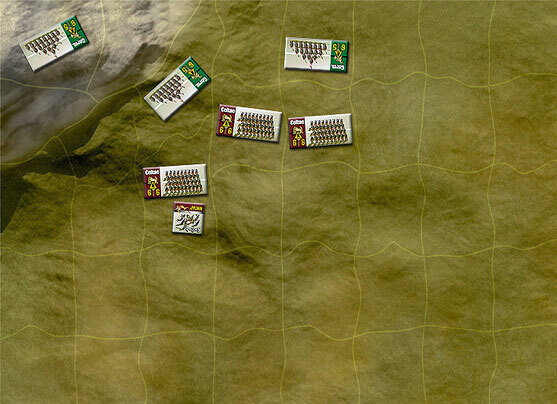 The game includes two semi-rigid mapboards, the same type as those found in Panzer Grenadier games. The Avalanche Press Online Store is LIVE! Click here to buy this item!